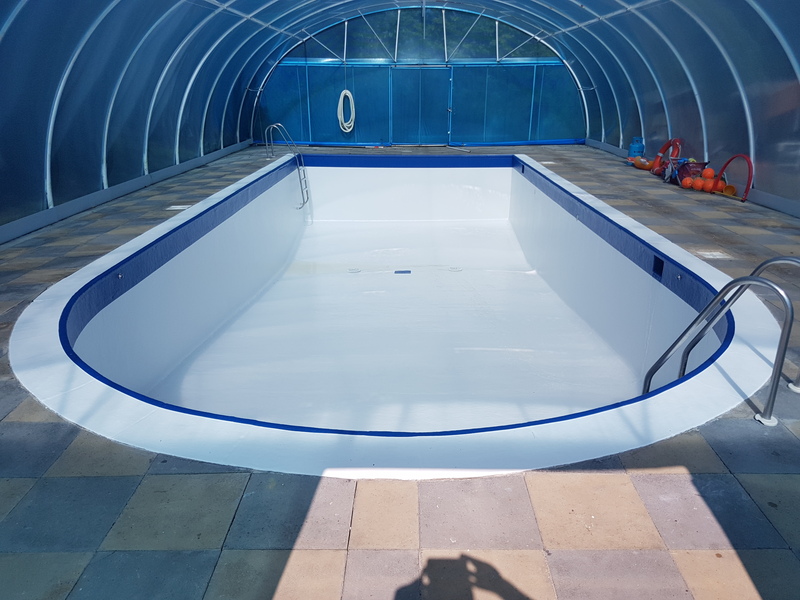 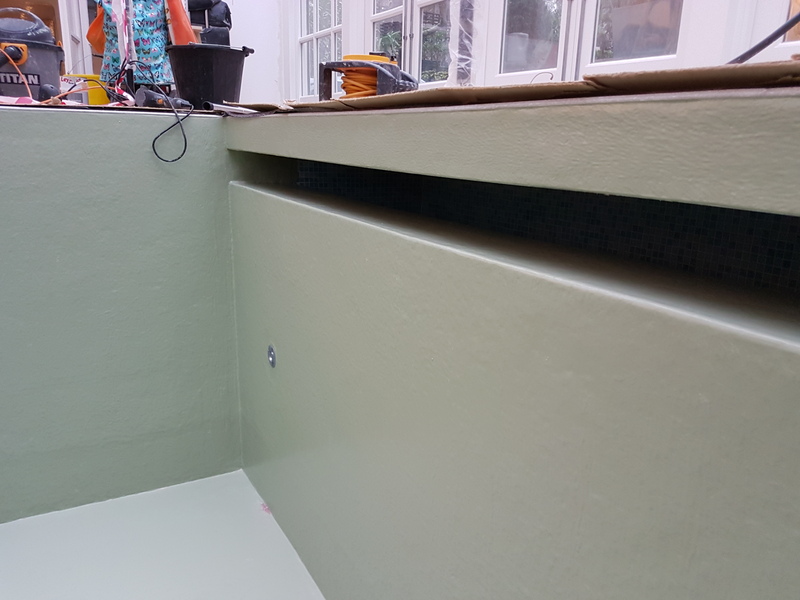 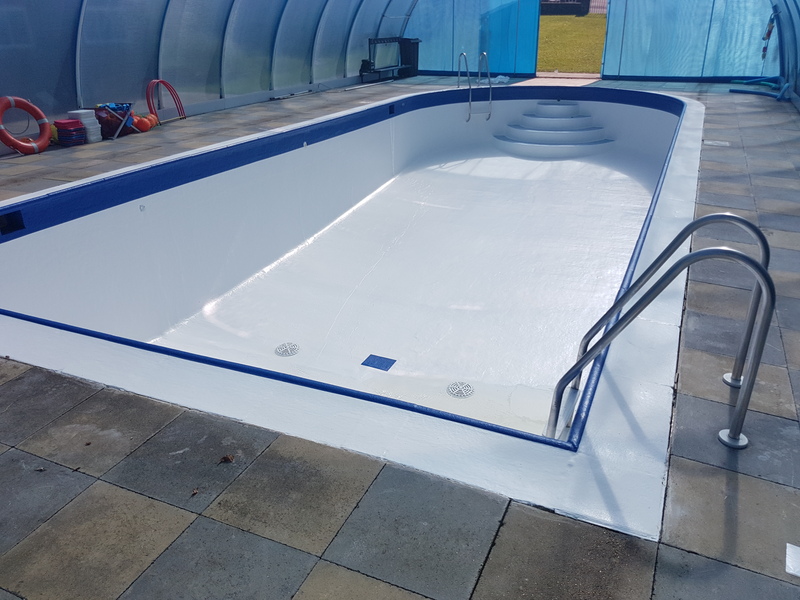 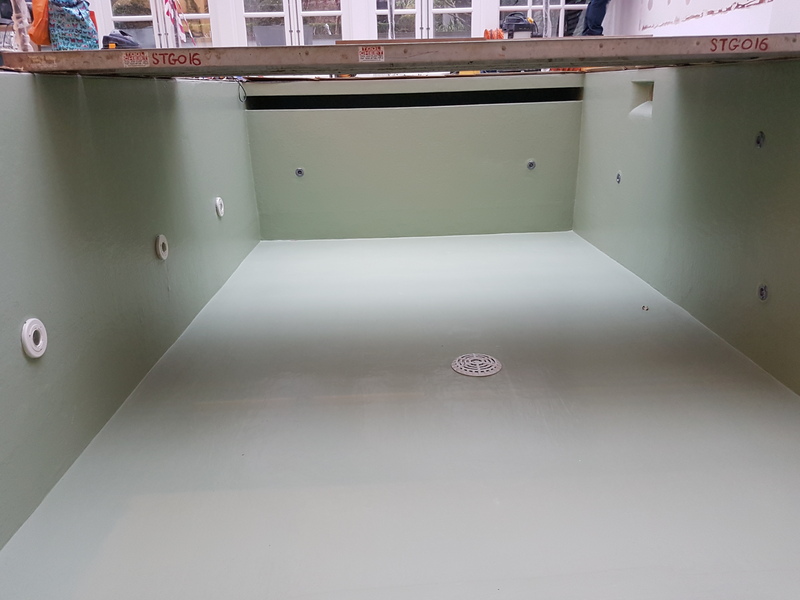 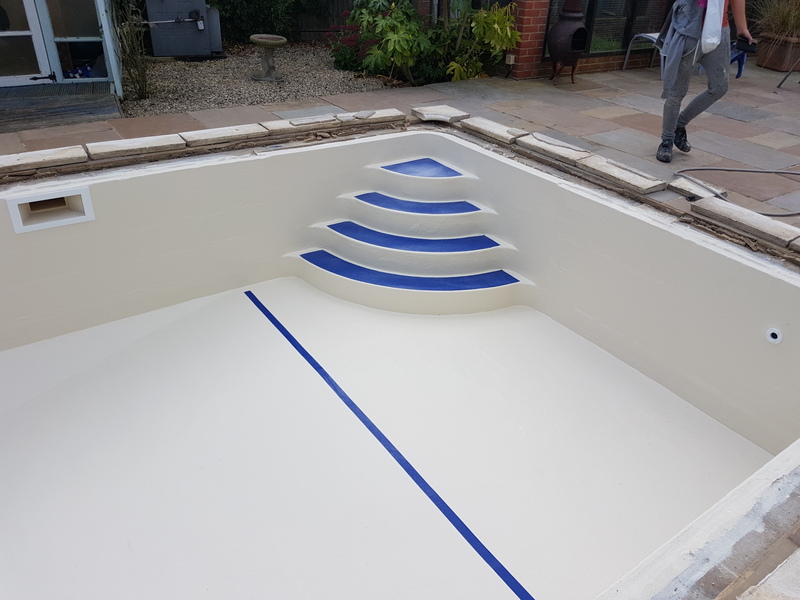 We have been fibreglass lining swimming pools of all shapes, sizes and conditions for over 45 years, a fibreglass lined swimming pool will typically last between 15-25 years with very low maintenance. 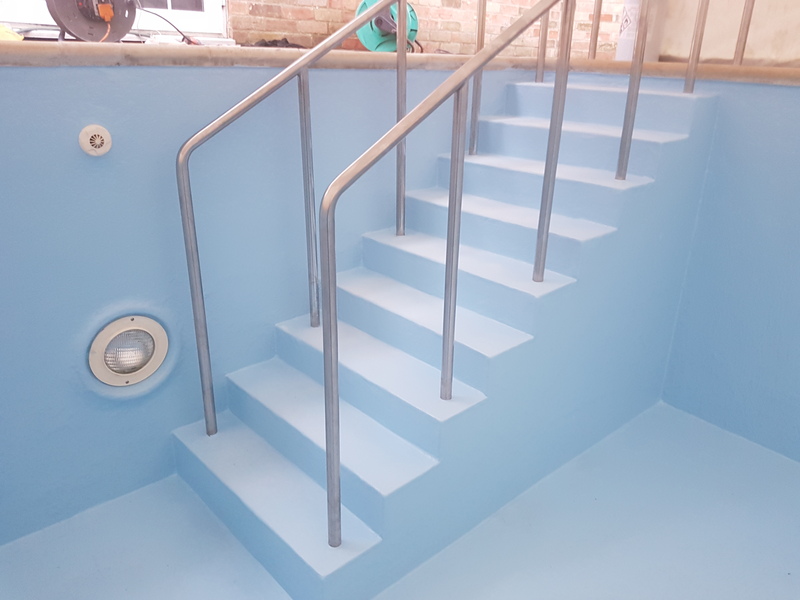 We offer a wide range of colours to suit all tastes and can also provide built in steps and a nonslip finish to most projects, we can also do multiple colours as you will see in some of our pictures i.e. 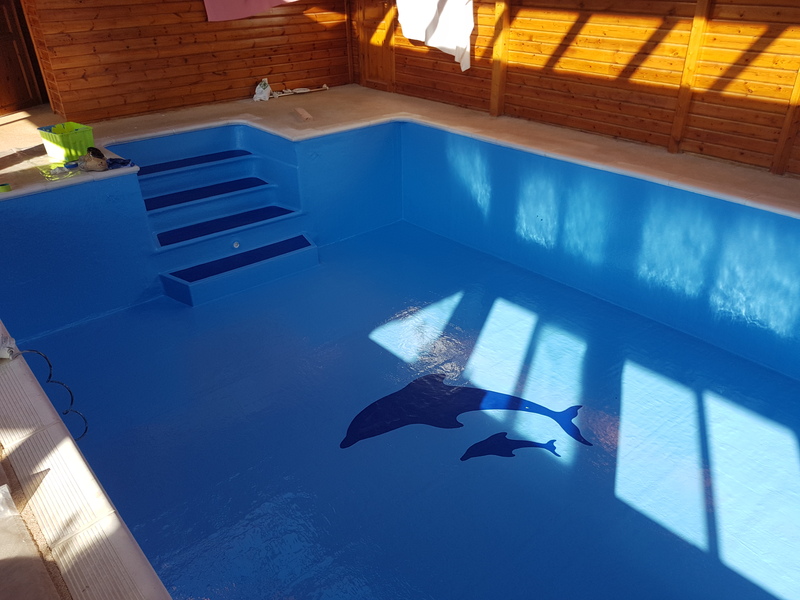 white with a blue band and/or dolphin for the kids.